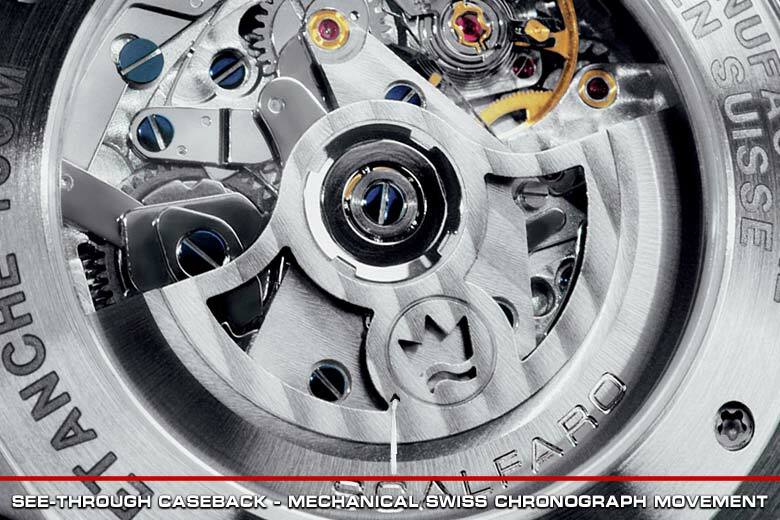 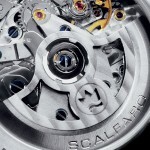 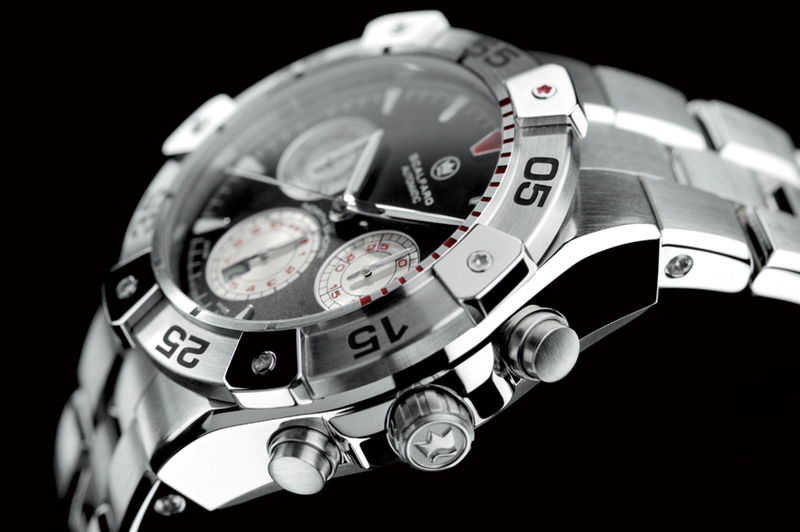 The finely decorated mechanical Swiss chronograph movement can be seen at work through the Sapphire crystal caseback. 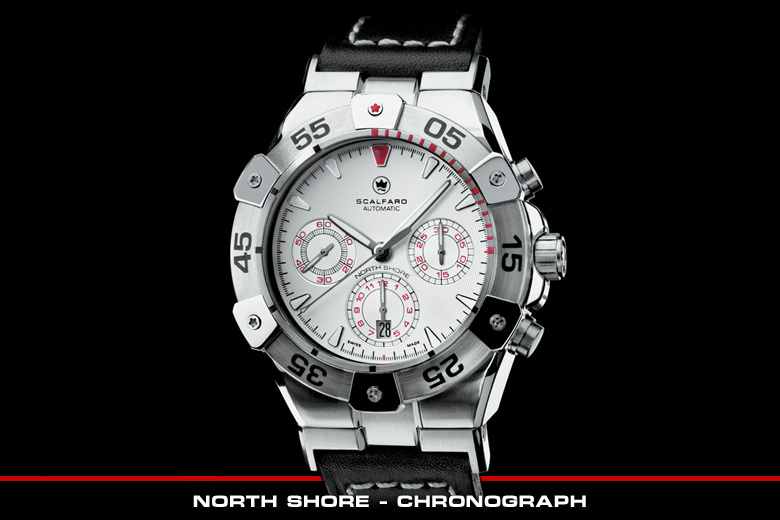 Dial Colors: Choice of black, silver or two-tone (black base, silver subdials) galvanized Guilloché dials. 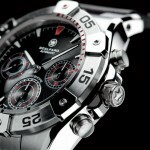 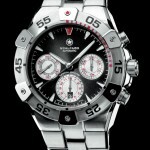 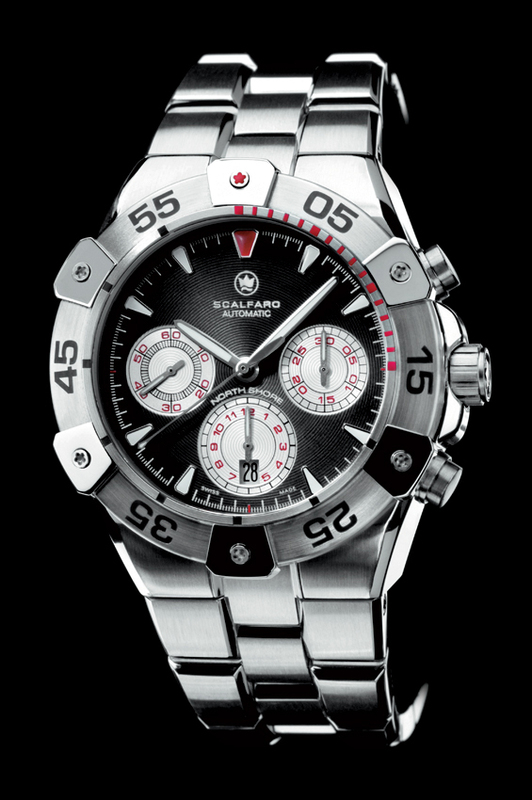 The Guilloché dial is available in galvanized black, silver or two-tone (black base, silver subdials) incl. 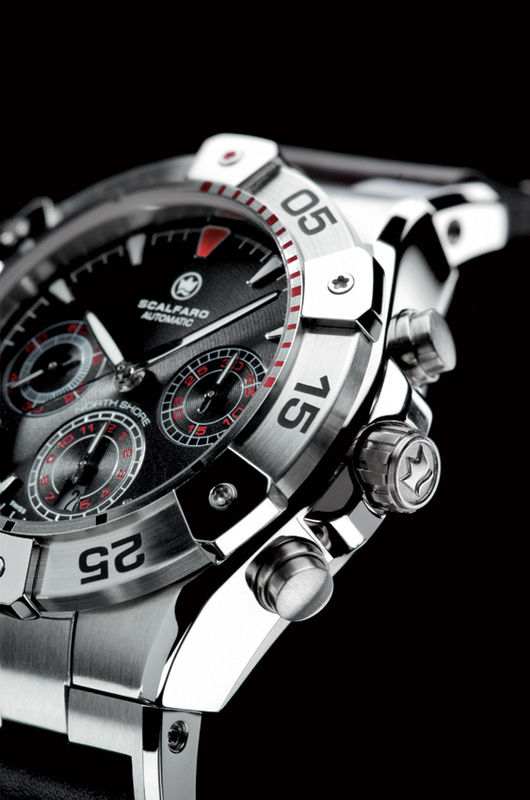 hand-applied indexes filled with Super Luminova on the dial. 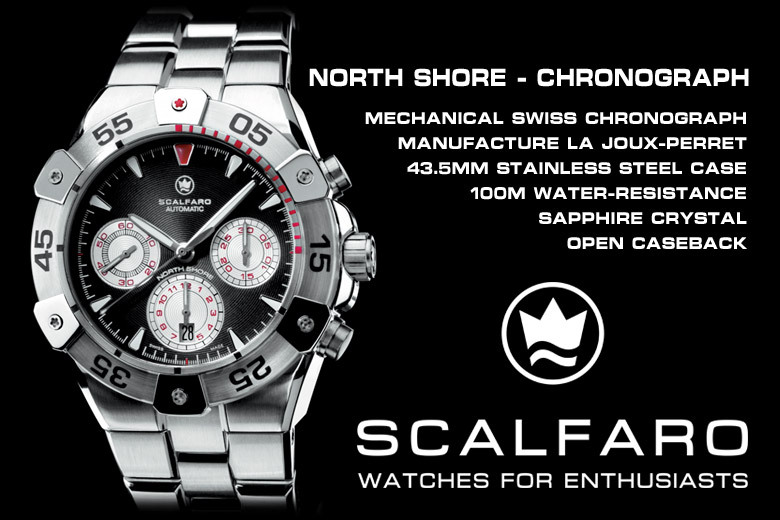 SCALFARO does not apply Tritium. 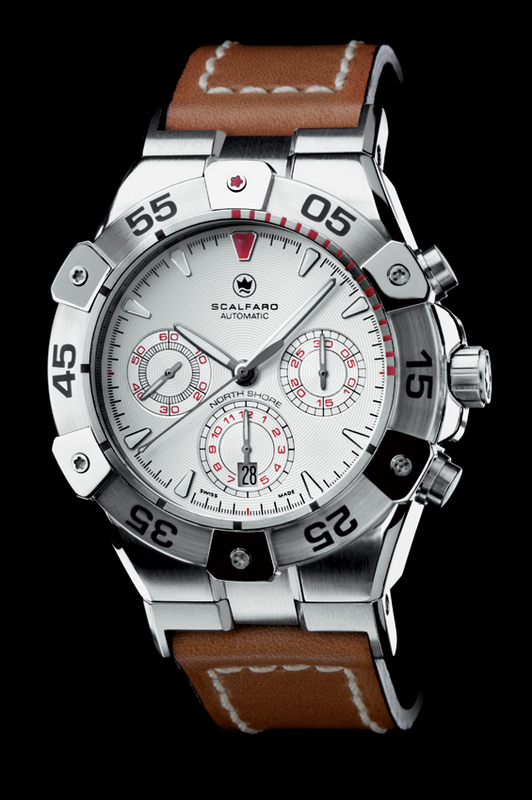 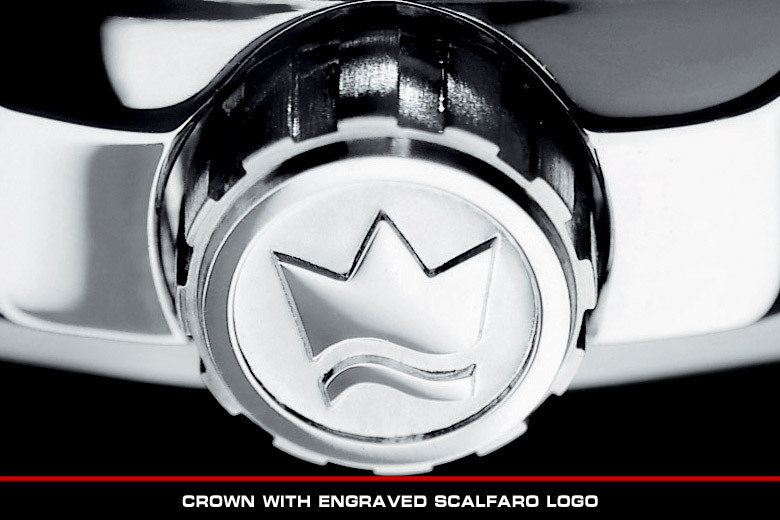 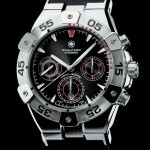 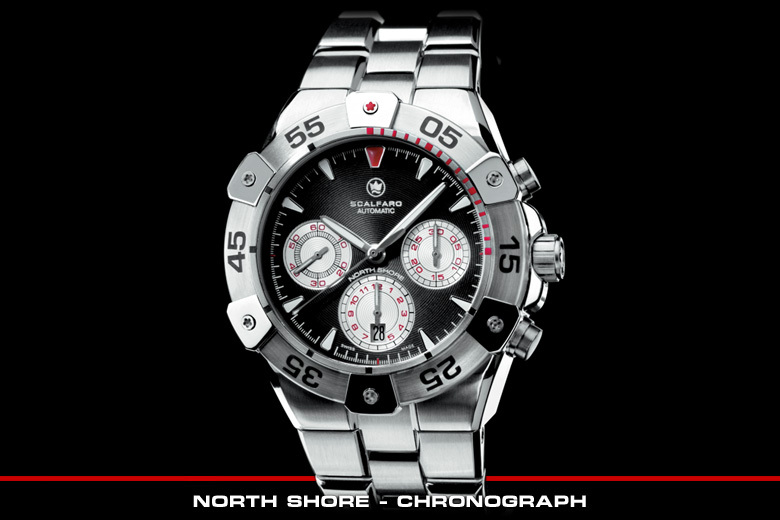 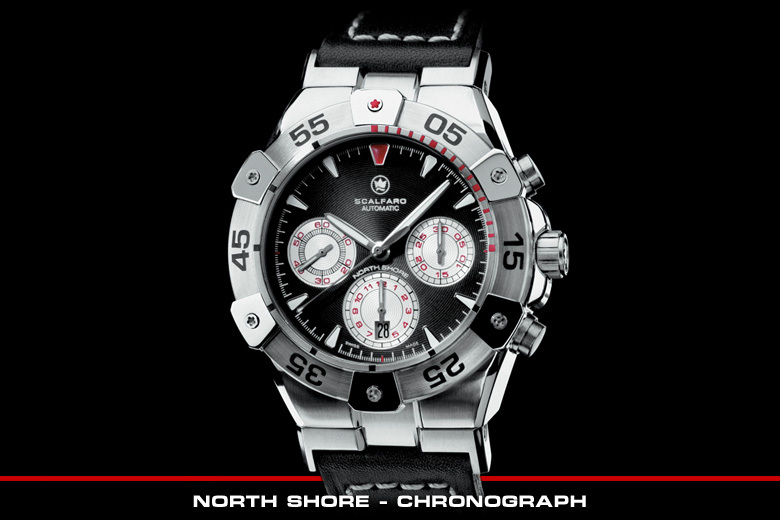 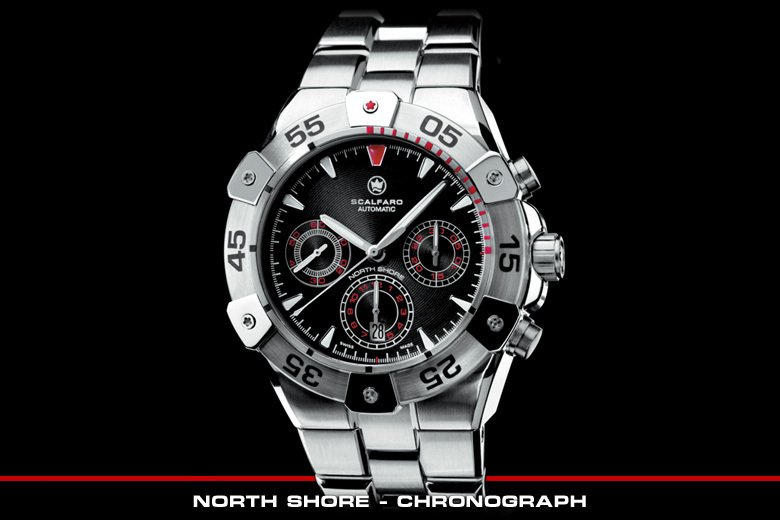 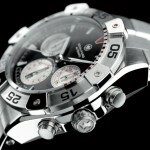 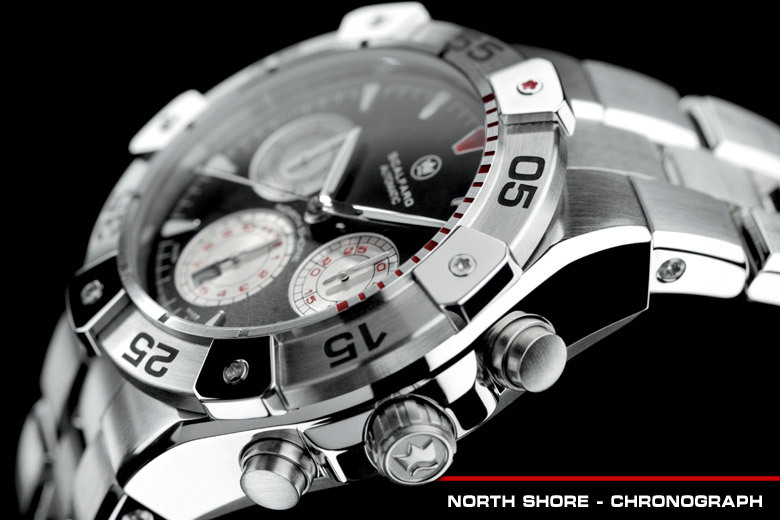 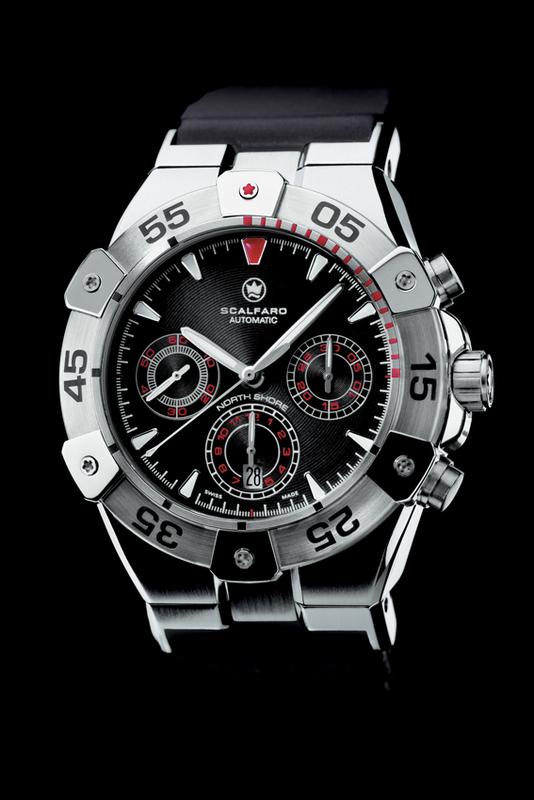 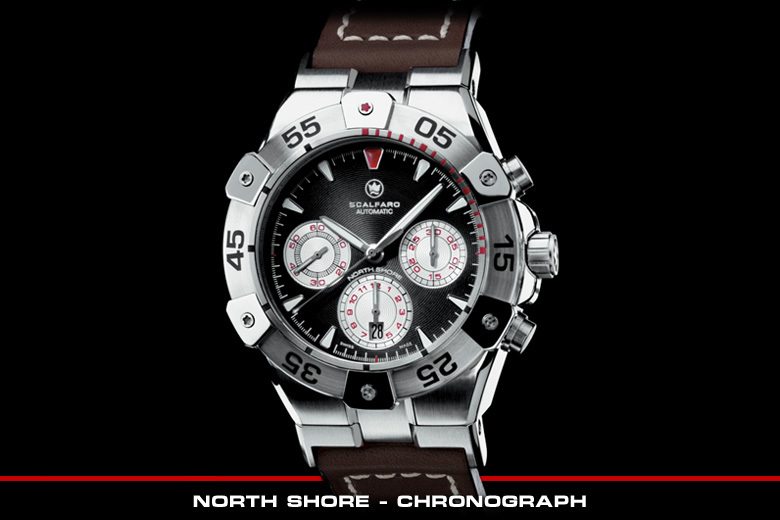 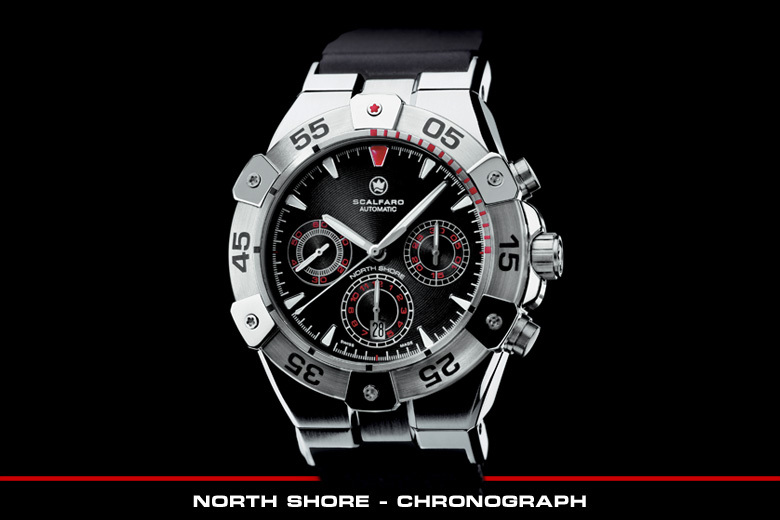 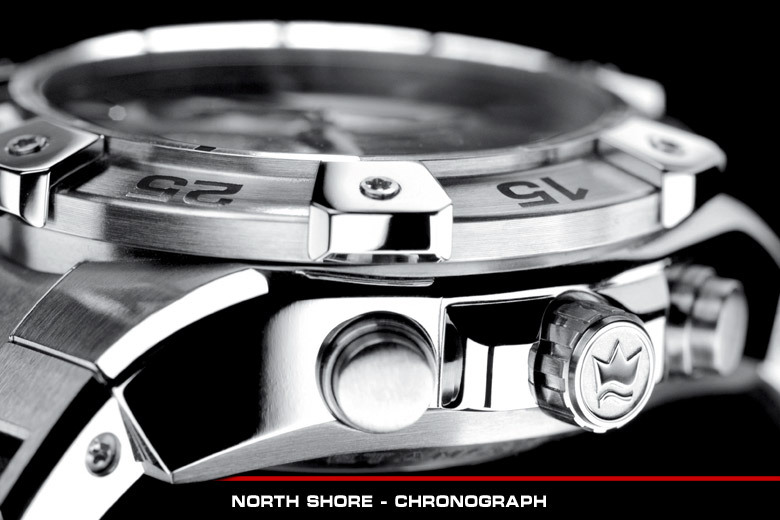 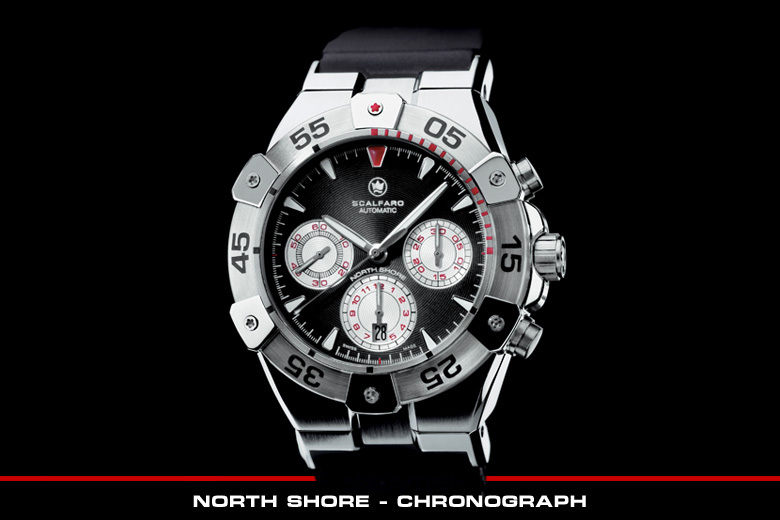 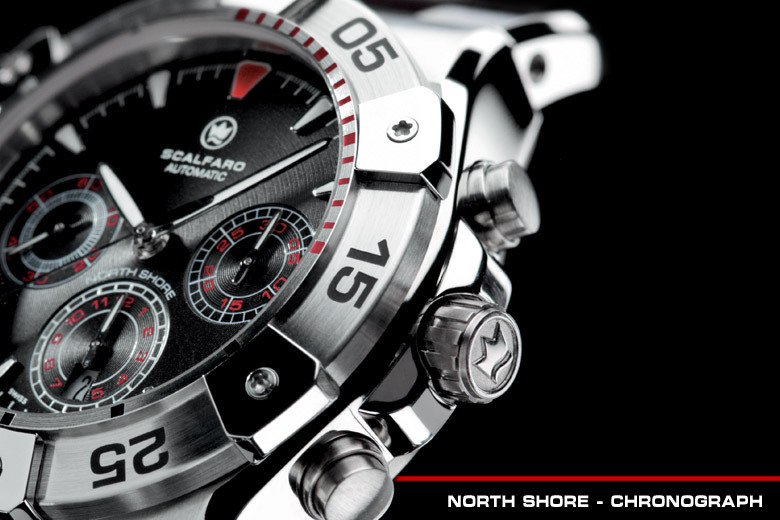 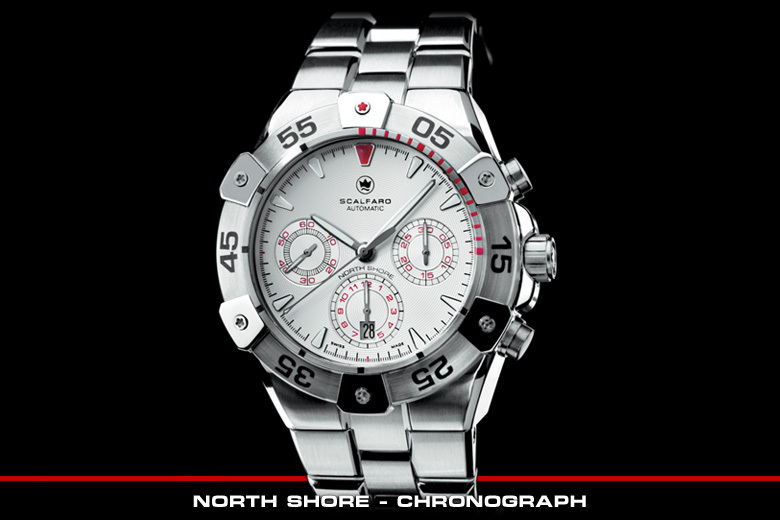 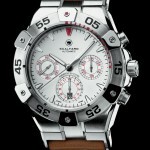 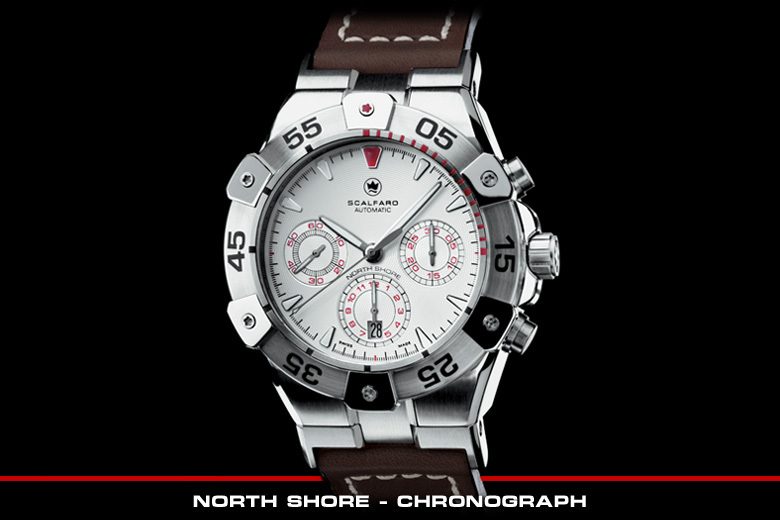 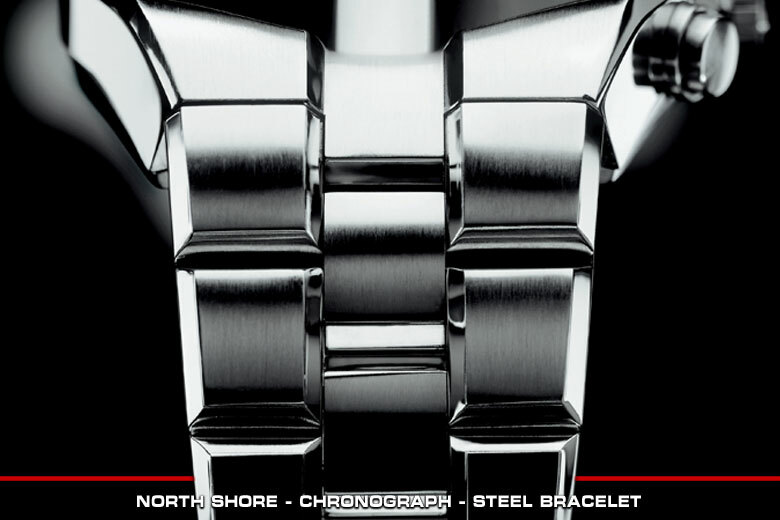 I would like to acquire one of these extraordinary Scalfaro North Shore Chronographs.